A splendid 8 bedroom period village house dating back to the 17th century. This property benefits from delightful landscaped gardens and is situated in an enviable position in the heart of Whitchurch-on-Thames. A stunning character 6 bedroom and detached annexe/ cottage in private, sunny gardens - 0.78 acres. Set in this highly sought after and very prestigious road. 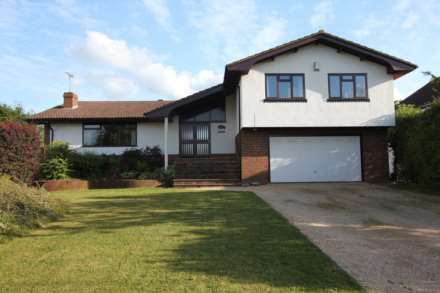 Light, spacious & luxuriously fitted family accommodation set beautiful secluded gardens. A splendid, very handsome and spacious, 7 bedroom, late Victorian early Edwardian family house set within the heart of Pangbourne village enjoying a spectacular location, overlooking the River Thames with direct river frontage and deep water mooring. An elegant and very special split level architect designed 5 bedroom modern country house of character. Set within the heart of the village on an exclusive and peaceful residential lane. Oakhill House is a splendid, individually designed four bedroom character modern house situated within the heart of this famous Thameside village. It is a perfect combination of traditional design and materials, with contemporary features and styling. A splendid detached 7 bedroom Georgian period house, valuably unlisted. It is in excellent order throughout.This period of English architecture is probably one of the most sought after for UK house buyers and it is rare to find a property of this age in such good condition. A splendid 7 bedroom detached Victorian house of unusually spacious proportions with high ceilings, elegant rooms and large windows giving lots of light. A splendid detached 5 bedroom character, modern riverside house. Situated within the heart of Pangbourne village, enjoying a spectacular location overlooking the River Thames with direct river frontage and deep water mooring.